As part of the celebration for Pokémon's 20th anniversary, players have been able to download one of the rarest creatures to their cartridges every month this year. 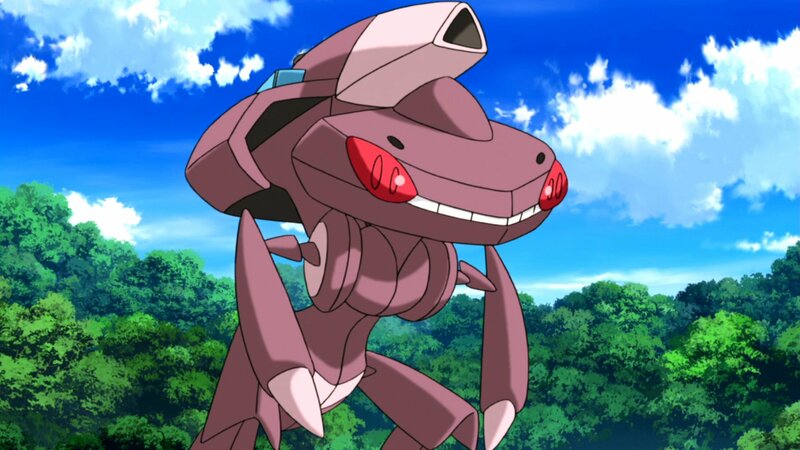 The distribution for this month's Pokémon, Genesect, is scheduled to end on Thursday, November 24. 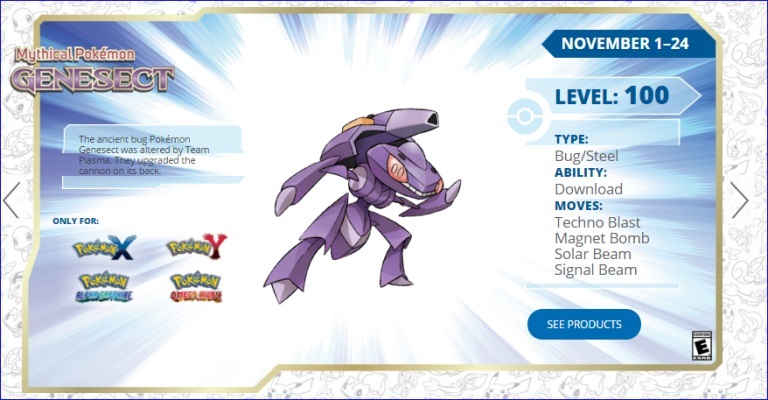 To get your Genesect, you'll have to enter a code from a free card being distributed at brick-and-mortar game stores, and these vary based on your region. In the U.S., Genesect cards can be picked up at any GameStop, in the U.K. they're available at GAME, and people in Australia and New Zealand will need to go to EB Games. Don't forget that Thursday is a holiday in the United States, so GameStop stores won't be open. Once you have the card, load up your copy of Pokémon X, Y, Omega Ruby or Alpha Sapphire and select Mystery Gift from the main menu. Choose Receive Gift, open the communication channel, and then select Get With Code. You'll need your 3DS connected to the internet to redeem it, and each code will only work once. Unfortunately, Genesect can't be downloaded directly to Pokémon Sun or Moon. I suppose the developers didn't want a level 100 behemoth rampaging through the tranquil islands of Alola. You'll be able to import creatures from the older games once Sun and Moon are updated to support the Pokémon Bank early in 2017. 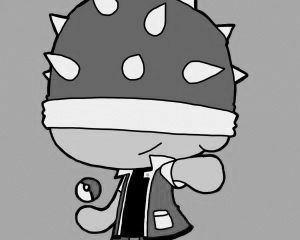 Next month's distribution will be Meloetta, previously only available to those who played Pokémon Black, White, Black 2 or White 2. It'll be distributed over the Nintendo Network, so there won't be any need to get a card at a physical store. Meloetta is fairly unique in that it can change its element typing midway through a battle by using the move Relic Song. We'll let you know more once this promotion goes live in December.